People from the Arab countries have been the recipients in three of six award categories: Peace, Chemistry and Literature. 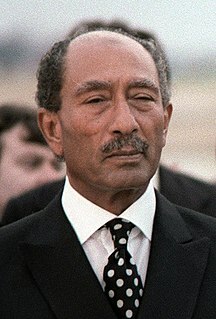 The first Arab recipient, Anwar Sadat, was awarded the Peace Prize in 1978. The most recent recipient Tawakkol Karman was awarded to Peace prizes in 2011. One Arab laureate —Anwar Sadat – was president of his country when he was awarded the prize. Tawakkol Abdel-Salam Karman is a Yemeni journalist, politician, and human rights activist. She leads the group "Women Journalists Without Chains," which she co-founded in 2005. She became the international public face of the 2011 Yemeni uprising that is part of the Arab Spring uprisings. In 2011, she was reportedly called the "Iron Woman" and "Mother of the Revolution" by some Yemenis. She is a co-recipient of the 2011 Nobel Peace Prize, becoming the first Yemeni, the first Arab woman, and the second Muslim woman to win a Nobel Prize and the second youngest Nobel Peace Laureate to date. ↑ "Sir Peter Medawar". New Scientist. 12 April 1984. Retrieved 27 February 2014.